We are pleased to now offer a radiator cover panel that is pre-cut to fit our reverse tilt hood kits, as well as creating a functional “mail slot”. Making the Reverse Tilt Hood Kit almost 100% bolt-on. 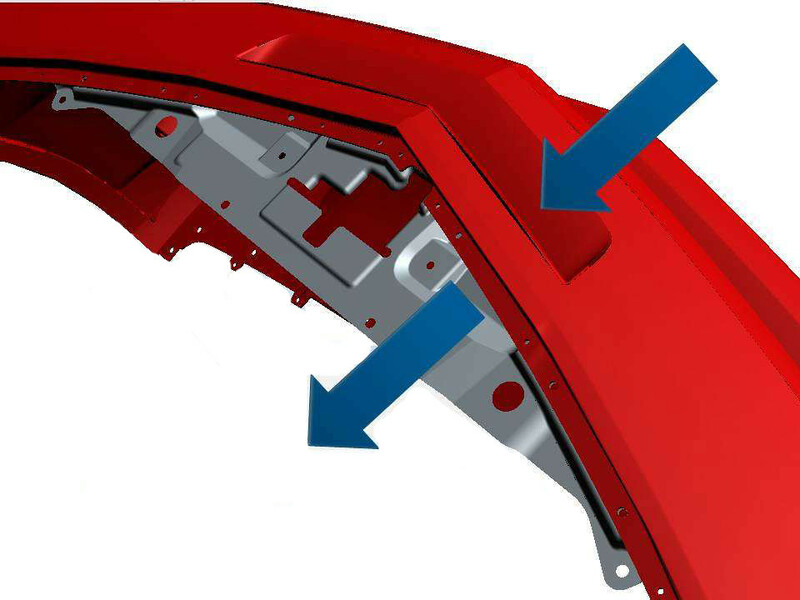 This composite panel directs air flow into the engine bay by simply trimming your bumpers mail slot. Now available for $169 it comes ready to paint and is available with 2 mesh options. Woot woot! Auto start is back on Onyx!!!! Thanx guys for giving me a warm ride back. It sucked being a RS and not being able to raroom from a far with the rest of my group.